Christmas is not yet over at KCC Mall of Gensan! Check out the latest promos from two of the leading brands in foot wears here and abroad. Bring your kids and reward them with a perfect present this New Year! 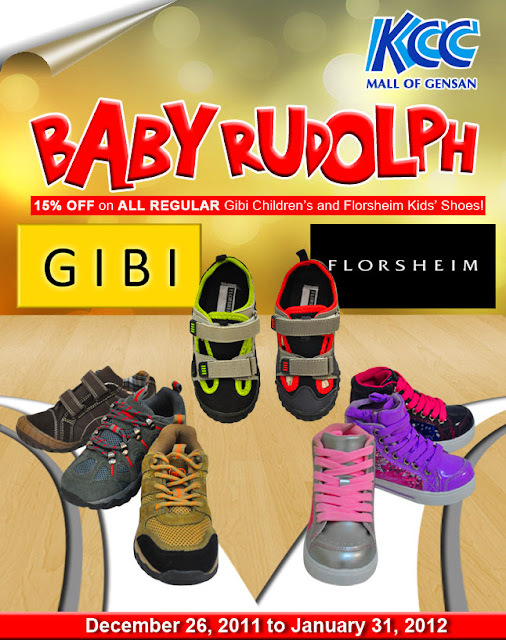 Avail of the Baby Rudolph promo, big discounts on GIBI Children's Shoes and Florsheim Kids Shoes starting December 26, 2011 up to January 31, 2012. Plus, reward yourself with the best pair of GIBI Men's or Ladies' Shoes. Get them at 15% OFF the regular price from December 16, 2011 to January 15, 2012. Great deals! 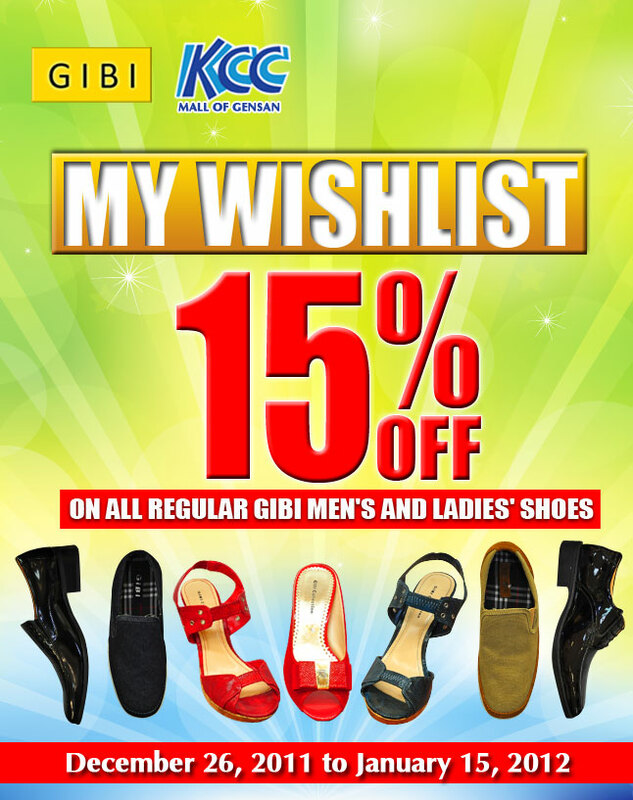 Only from the leading shopping destination in South Central Mindanao- KCC Malls!